As the second installment of our ongoing “Did You Know?” series, the Beautification Foundation will discuss the history of the Little Rock National Cemetery and what it means for veterans in central Arkansas that the National Cemetery is closed to new interments. 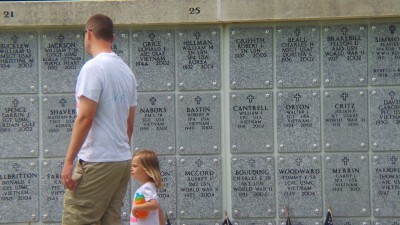 The Little Rock National Cemetery is located at 2523 Confederate Blvd., in Little Rock, AR. The Little Rock National Cemetery opened in 1866 when the Federal Government purchased land from the city cemetery to relocate the remains of Union soldiers from across the state to a more central location. It is unknown when the first interment took place, or who it was because the cemetery was part of the city cemetery at the time. Many of the first burials were reinterments from around the state. The site was officially established as a National Cemetery in 1868. A Confederate cemetery, established adjacent to the national cemetery, opened in 1884 to accept the reinterments of 640 Confederate veterans from Little Rock’s Mount Holly Cemetery. The National Cemetery and Confederate Cemetery operated separately until 1913, when the Secretary of War accepted ownership of the Confederate Cemetery. The cemetery was added to the National Register of Historic Places on December 20, 1996. Little Rock National Cemetery is the largest national cemetery in Arkansas and encompasses almost 32 acres. With no more room to expand, the cemetery is now closed to new interments. The last active-duty burial was a man from Pine Bluff (Jefferson County) killed at the Pentagon on September 11, 2001. Because the Little Rock National Cemetery is closed to new interments, the significance and importance of the Arkansas State Veterans Cemetery in North Little Rock are compounded. Since its establishment, the State Veterans Cemetery has been the only option available to veterans in the central Arkansas area. Having this centrally located cemetery allows family and friends of those interred to visit and pay respects more easily since they do not have to travel hundreds of miles to the next available National Cemetery. The Arkansas State Veterans Cemetery Beautification Foundation is committed to ensuring that veterans receive the honors they have earned and surely deserve. The Foundation works alongside the cemetery administration to preserve a beautiful and serene visiting place for family and friends to gather. Veterans in the central Arkansas area have been given an outstanding option for their final resting place. 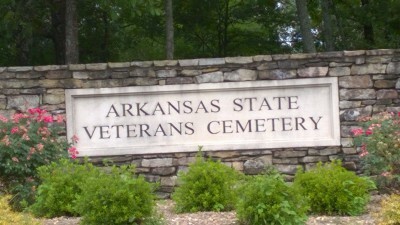 The Foundation depends on donations and volunteer support from concerned citizens, nonprofit organizations, and veteran service groups to maintain the high standard of care that is offered at the Arkansas State Veterans Cemetery in North Little Rock.